Published February 10, 2014 at 1500 × 768 in Wed, 1/29 @ 11:48AM – chains work. Wed, 1/29 @ 11:48AM – chains work. We see this car several times and observe that he must be shuttling people up and down the Columbiana hill with chains installed on his front-wheel drive wheels. 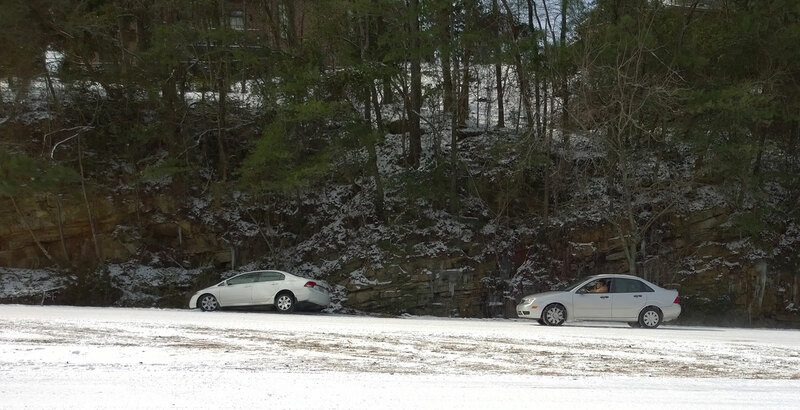 Here he passes another four-door sedan that has slid off the road into a ditch so very close to the top of the hill.